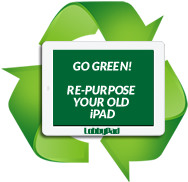 LobbyPad's iConsent is a customized healthcare solution that is used for invasive or non-invasive surgeries that require prior consent of the patients. Prevent communication gap between surgeons and patients. Standardized and formal approach to inform patients. Healthcare institutions adhere to goverment regulations. Avoid unnecessary surgeries which can be a threat to patient’s safety. 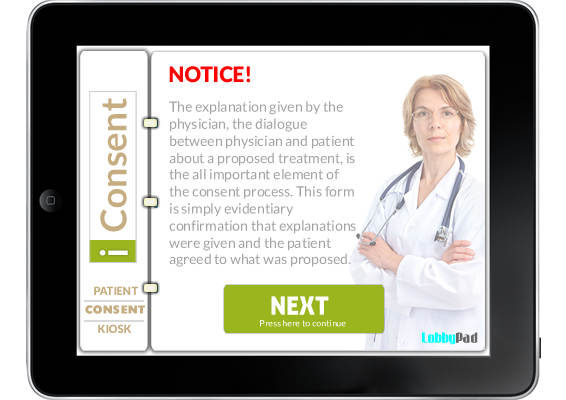 Patient's consent data is securely housed within the institutions infrastructure. 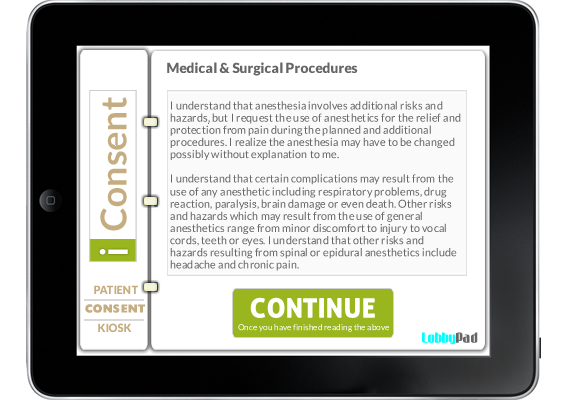 Our interactive iConsent solution provides the patient with an intuitive and uesr-friendly interface to read and record consent data.